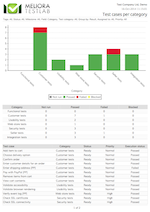 Meliora is more than happy to announce a new major release of Testlab – the most advanced and easy to deploy ALM/Test management solution for all enterprises – codenamed Razzle Dazzle. 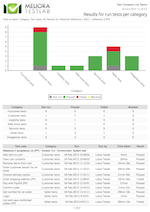 This version includes management of Milestones, much enhanced reporting and effort estimation features, to name a few. Please read more about the new features below and as usual, all features are immediately live for our hosted customers. In previous Testlab versions, you had an option to use versions and environments to organize your testing efforts and manage your project goals. This mostly works fine but there are situations when having only (usually technical) versions for tracking management might get cumbersome. Testlab now features Milestones – project reference points which give your project the needed structure for tracking and for easier handling of assets. In software projects, these are typically software releases, sprints, product branches, parts of your software platform or something else that you aim to track your project in. Specification assets (user stories, requirements, …) can be targeted to a milestone. This makes separation of different parts of your project easier inside the Testlab project. Similarly, test cases and issues may be targeted to a milestone. the list of issues targeted to the milestone. Milestones can be optionally set up to inherit other milestones: When inherited, the milestone’s specification, test cases and issues can be seen to affect the (possibly) later milestones. This is especially handy when you are managing the testing efforts of your complex platform-oriented software product. For example, you might have customer specific variants of your product as separate milestones which are set up to inherit the “base platform milestone” in your project. This way for example, the requirements from the base platform’s specification are inherited to all your customer specific milestones. A new dashboard widget has been added which allows you to track the progress of a selected milestone. Reports have been added with possibility to filter content per milestone. A new custom field type has been added with milestone selection. Search function will return matching milestones by identifier and title. Coverage can be reported against a milestone. Integration related Plugins (Confluence, Jenkins CI) have been updated to support passing the Milestone information back and forth. Keep in mind, that using Milestones is totally optional. You can start your project as earlier and add your milestones later on when you need one. Using them is recommended though, as the milestone view offers a handy view on your testing progress. 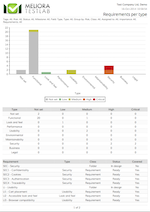 Reporting of Testlab has been revised with a number of new report templates. 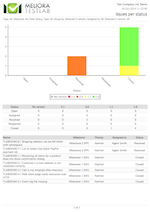 In addition to the new reports presented below, the number of existing report templates have been added with new filtering and configuration possibilities. 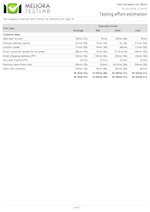 Results for run tests A template to report out testing results for run test cases. The template can be configured to pick and filter the relevant test cases from your project and includes a grouping of your choice and in addition, a detailed list of each executed test. Testing effort estimation Report will include all test cases matching the entered filtering criteria and the report will include the average, minimum, maximum and the latest durations for the execution of the test cases. The times calculated will help you to estimate the effort it could take to execute the set of test cases reported. Issue grouping This report type is used to get an overall view of your project’s issues summed and grouped up against two attributes of your choice. By configuring this report properly you can get important insight in the state of your project’s issues. A time-series graph about issues summed up according to a chosen field. Report will be generated for chosen time period and will include all issues matching the entered filtering criteria. This report helps you to summarize how the issues in your project have progressed in time. You can observe the changes against a field of issue of your choice. Test case grouping Similar to the Issue grouping report but calculates and reports against test cases of your project. Test cases in time Similar to the Issues in time report but calculates and reports against test cases of your project. Requirement grouping Similar to the Issue and Test case grouping reports but calculates and reports against requirements of your project. Requirements in time Similar to the Issues and Test cases in time reports but calculates and reports against requirements of your project. OpenOffice Writer documents, allowing you to format the report further in your word processing software. 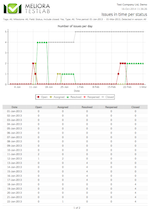 To this day, Testlab has been recording the execution time when you execute your test cases. Utilizing this information, new features have been added to help estimate your future testing effort. In Execution planning, a new column “Average time taken” has been added which calculates and shows the average time it has taken previously when this test case has been executed. These values are used to calculate the total time it would take to execute the set of tests currently in the test set editor. This way, you can estimate the total average time it would take to execute a set of hand picked test cases. In Test execution, we’ve added a new “Time taken” column to indicate how long it took to execute the test in the test run. The summary of a test run also includes a total time it has taken to execute the tests in the selected test run. Milestone’s testing progress in the Milestones view shows the total time it has taken to execute test cases in the milestone. 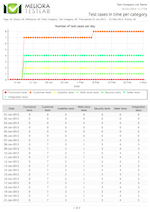 Testlab captures the time it takes to execute a test case automatically when you execute the tests. The time a single test case execution can be edited in Test execution view which allows you to correct the statistics for test cases if the time taken to execute the test case has been incorrectly captured. 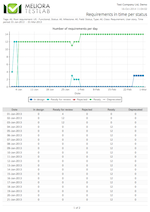 A new “Testing effort estimation” report has been added to report out further statistics for execution of test cases. Previously, you had an option to configure a single “Template” project with a set of information and settings which would be copied to all new projects. Now, you have an option to select a project from which you would like to copy the content from and in addition, pick the information which is copied. This way, when you are adding a new project, you can always copy the content of your choice from some other project to make the starting of your new project as easy as possible! When you edit ready-approved assets (test cases or requirements) Testlab creates new revisions automatically to the database. Old revisions are accessible by selecting an old revision from the top right corner of applicable editing view. Now, if you for some reason have the need for rolling back changes or taking a previous version of test case back to use, you can copy the old revision content as a new asset in your project. Just select the asset and revision of your choice and select “Copy as new…” from the menu and Testlab will copy the selected revision as an new asset. During World War I and in a lesser extent in World War II the seas of the world saw some of the wildest and most psychedelic ship painting designs ever. This is known as dazzle camouflage, which works by making it difficult to estimate the camouflaged ship’s range, speed and heading. 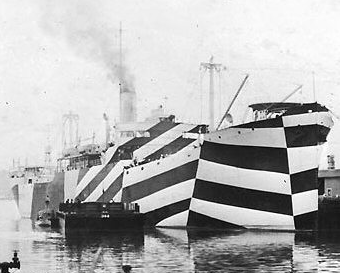 The evidence for the success of dazzle camouflage, also know as razzle dazzle, was at best mixed. If you missed this little part of our history, dazzle your neighbours and go and educate yourself with a Stuff you missed in history class podcast of the topic.